Looking for venue inspiration for your upcoming wedding? Look no further! Bridebook.co.uk (your go-to wedding venue finder) has compiled a list of the most amazing wedding venues in the UK. Browse the list below, and click the links to explore them more. You can even message each of these beautiful venues asking for some more info! While you’re in wedding venue wonderland, be sure to personalise your wedding venue search with the filters that matter to you. Set your filters to “Luxury” or “Lovely Grounds” or “Castle” to see some jaw-dropping wedding venues near you, or set your filters to “Rustic and Barn” or “Exclusive Use” for some beautiful and heartwarming options. The variations are endless! The Keeper and The Dell, a wonderfully secluded, outdoor wedding venue in Norfolk, is a beautiful collective of a traditional canvas marquee located in a pretty woodland dell, an 18th-century Gamekeeper’s barn, camping gardens, firepit and wood cabin. 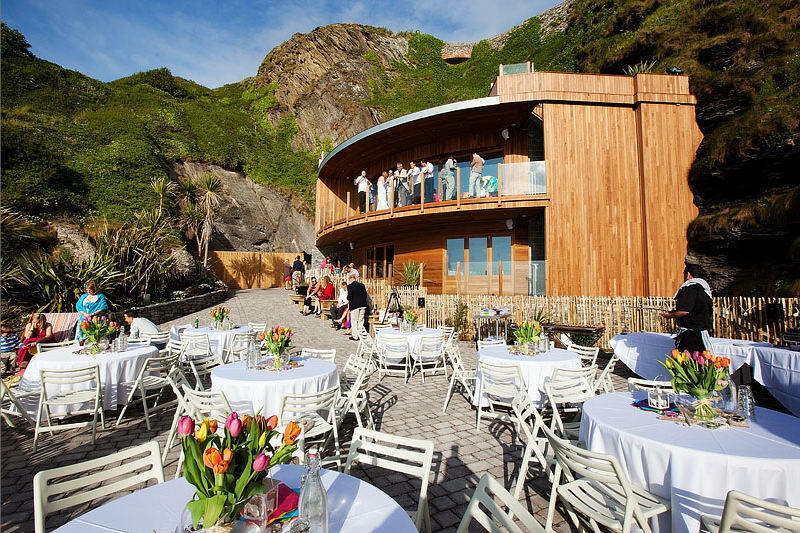 This is one the most amazing wedding venues in the UK! Caswell House, the Cotswolds, offers a unique ambience with the perfect mix of rustic romance surrounded by breathtaking scenery, stunning barns and exclusive use of the immaculate grounds. Askam Hall is a country house hotel in Cumbria, brought into the 21st century, with a converted barn featuring rustic oak ceilings and stone walls paired with modern lighting and beautiful glass doors. This is one of our favourite glass house wedding venues. Ever After, a unique outdoor wedding venue on the banks of a Dartmoor river, showcases an open-sided oak and stone barn, glass-roofed outdoor rooms, a bespoke marquee, and an 18th-century luxury honeymoon cottage. 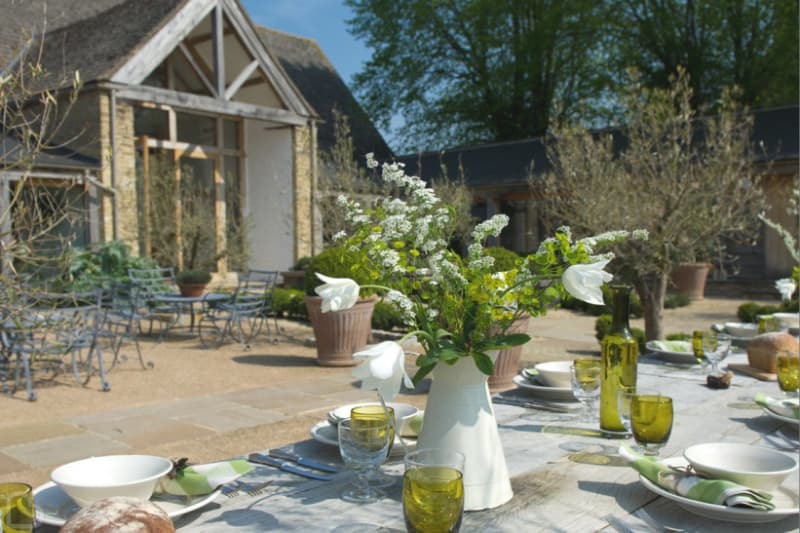 River Cottage is a 65-acre organic farm tucked amongst rolling hills on the Dorset and Devon border, offering the beautifully restored Threshing barn, the famous farmhouse, a yurt and walled gardens for use on your special day. South Farm, the perfect setting for a quintessential English Country Wedding in Hertfordshire, is home to a lovingly restored Grade II listed house, beautiful Tudor barn and lovely summerhouse set in stunning gardens. Guests will enjoy prize-winning menus utilizing produce grown on-site. Doxford Barns is a truly unique barn-wedding venue, located in the heart of coastal Northumberland on a private and secluded country estate. The best part…exclusive use to you and your guests spread over three days! Packington Moor is set within a 700-acre livestock farm in Staffordshire and includes The Malt Barn and The Oat Barn, farm-to-table wedding meals, a restored honeymoon suite and a nearby Coach House for additional lodging. Check out the 20 most beautiful barn wedding venues in the UK! Carbis Bay, a modern British boutique hotel located on the coast in Cornwall, is set within a 125-acre estate with sub-tropical gardens and a private beach. Tunnels Beaches is a stunningly unique location found on the Devonshire coastline, featuring a hand carved tunnel through a cliff leading to a stone terrace overlooking a hidden private beach. Angel House, a Grade I listed Regency Town House in East Sussex, has a stunning seafront location right on Brighton and Hove border overlooking the Angel Peace statue out to sea. Artists Beach House, with original arts and crafts detailing, is situated just above Tankerton Beach and a short walk from the fashionable fishing town of Whitstable in Kent. The Whitstable Street, a geophysical phenomenon, located below the property offers a stunning backdrop. Titchwell Manor, steps from the golden beaches of Norfolk, is a Victorian manor with secluded walled gardens, log fires, spacious contemporary bars and lounges, beautiful dining room and outdoor terrace. Sudeley Castle & Gardens was once home to Henry VIII’s final wife, Catherine Parr. Experience the royal treatment in this historic Tudor castle in its’ own Cotswold valley, in Gloucestershire. Lough Eske Castle is a fairytale five-star refurbished castle-hotel located in Ireland outside of Donegal Town. Aikwood Tower, a unique Scottish castle five-star wedding venue outside of Edinburgh, is the perfect marriage of ancient and modern. Fasque Castle, one of the top country house wedding venues in Scotland, has a unique blend of opulence and comfort with a choice of large reception rooms, exclusive use bar, 19 luxurious bedrooms and a high-spec dining kitchen with adjoining terrace. Amberley Castle is a genuine medieval castle in West Sussex, with stone walls, 12 acres of gardens (with peacocks and alpacas!) and tower views of the nearby village. See our top picks for castle wedding venues in the UK! The Gainsborough Bath Spa occupies two Grade II listed buildings with distinguished Georgian and Victorian facades originally built in the 1800’s and situated in Bath a World Heritage Site. The Royal Crescent Hotel & Spa, a luxury wedding venue in a Grade I listed building in the heart of Bath, boasts an all-new Wedding Garden for use on your special day. The Bingham, tucked away by the river in Richmond-upon-Thames, this chic London boutique hotel is a romantic destination with a contemporary and elegant interior. Brunswick House has become a central London landmark. Inside its lofty Georgian interior, the panelled rooms are packed with salvaged curiosities, magnificent chimneypieces, brilliant cut glazed entranceways, sparkling chandeliers and beautiful antiques in each room. The Dolls House, located in London a stone’s throw from Islington Town Hall, makes a spectacular setting for any wedding reception offering a truly unique and glamorous location. Fulham Palace, a one-of-a-kind historic London wedding venue, is situated in a beautiful riverside location with sumptuous gardens, a private chapel and multiple versatile and elegant event spaces. Hotel Café Royal, located in the heart of London, features The Pompadour Ballroom that is ornately gilded and beautifully restored, offering an outdoor terrace with views of Regent Street. Weddings at QMUL is a brand new venue providing a unique setting for a wedding day like no other! 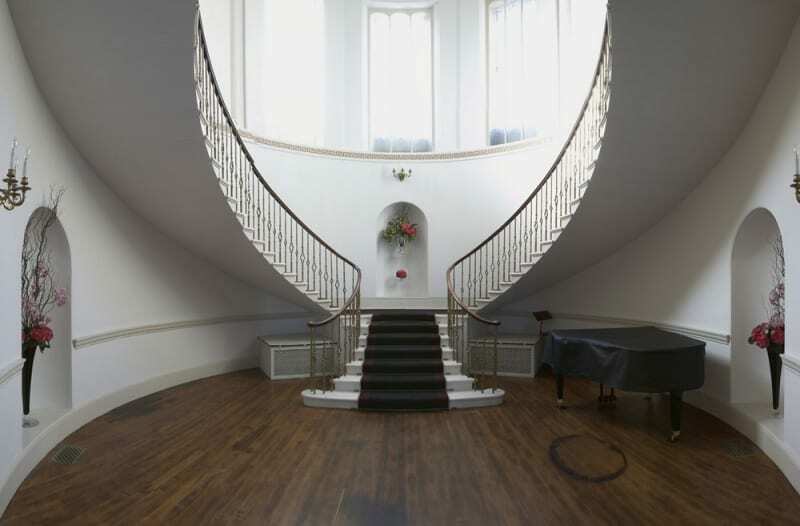 They offer flexible spaces for the perfect wedding in London. The Lanesborough is moments from Knightsbridge, Buckingham Palace and Hyde Park in London. This hotel’s flawless surroundings are the very definition of a fairytale wedding venue. Rosewood is in the heart of London just steps from Covent Garden. Guests arrive through an archway that opens into a grand Edwardian courtyard, offering the perfect start to your memorable day. The Savoy, a Fairmont-managed five-star hotel, is one of the most celebrated of London landmarks featuring the iconic Lancaster Ballroom and various private entertaining spaces. 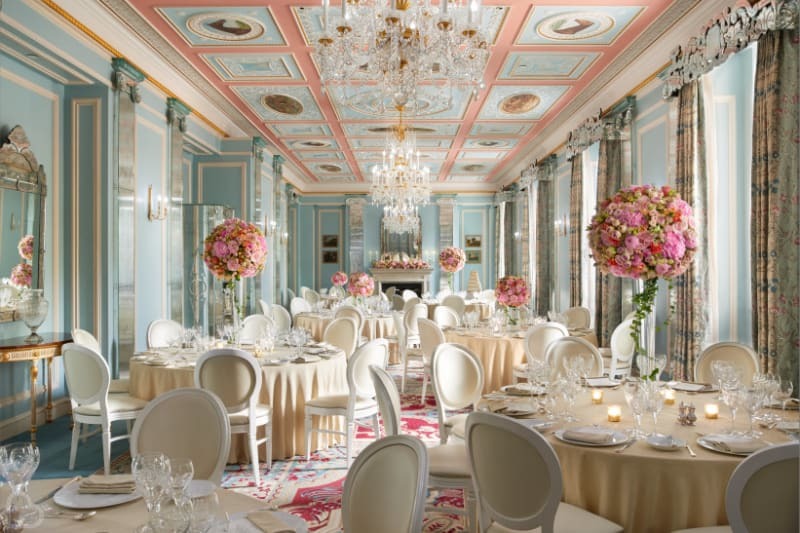 St James’s Hotel & Club, a five-star boutique hotel located right in the heart of Mayfair, London, offers the opportunity for you to host an intimate wedding fit for royalty. The Trading House, a Victorian space with an eclectic feel in the heart of London, features a grand central bar, incredible tapestries and taxidermy, and reimagined retro dishes. The Zetter Townhouse is a 13-bedroom eclectic Georgian townhouse with an award-winning cocktail lounge, choice of event spaces, and bespoke food and drink menu located on the historic St John’s Square in London. Hedsor House is a stunning exclusive use Georgian mansion with over 100 acres of private parkland, located in Buckinghamshire just a short distance from London. Take advantage of the 24-hour stay over party option, your guests will love the nightclub lighting and cocktail bar, a great twist on the traditional décor. Foxhill Manor, a private manor-house hotel, is one of the Cotswolds’ most amazing wedding venues. The highlight being The Ballroom, which opens directly onto a terrace and gardens with amazing views of the Vale of Evesham. Pynes House is an exclusive use, a country house in Devon set on its own 37-acre park. Steeped in history, it is believed to have inspired Barton Park in Jane Austen’s Sense and Sensibility. Gosfield Hall, a stunning Georgian manor house in the glorious Essex countryside, offers grand and ornate reception rooms, Queen Charlotte’s Gallery with a 120-foot long aisle and Marquis of Buckingham’s Ballroom. Leez Priory’s magnificent Tudor mansion located in Essex is one of the most sought-after wedding venues in the country. Knowlton Court is a gorgeous country house manor with regal character, surrounded by hundreds of acres of charming parkland, near Canterbury in Kent. Castle Green Hotel is situated in Kendal, on the edge of the Lake District, surrounded by breathtaking views of rolling countryside, Lakeland fells and the remains of Kendal Castle. Gilpin Hotel & Lake House, Lakes District, has its own lake in 100 acres of private grounds with options to hold your wedding in the conservatory or a marquee. Babington House is a Grade II listed manor house with an 18th century chapel in the heart of Somerset. The Manor, a beautiful country mansion with vaulted ceilings built in 1235, is set within 12 acres of the exceptional British countryside in Somerset. Pennard House, set on the last south facing slope of the Mendip Hills in Somerset, is the epitome of dreamy English elegance with a Grade II listed Georgian manor house, extensive landscaped gardens and a converted 18th-century coach house. Sparkford Hall is a private mansion on 23 acres of beautiful parkland, orchards and gardens in Somerset. Exclusive use of numerous bespoke event space and accommodation options, including the option to party until dawn in the private basement nightclub! Washingborough Hall, set within beautiful secluded grounds with mature gardens in Lincolnshire, has its own private entrance to the village church and offers the newly completed Winston Room with an elegant orangery wedding venue style backdrop. Wilderness Reserve radiates all that is beautiful and unique, offering a stunning Grade II listed Georgian manor house, extensive grounds and fabulous backdrop all sitting in the rural and rustic Suffolk countryside. Ettington Park Hotel, in Stratford-Upon-Avon in Warwickshire, is a magnificent romantic gothic mansion built from six types of Cotswold stone and housed on a 40-acre estate. Axnoller is home to three stunning large private houses with a mix of contemporary and antique features, set in 100 acres of rolling countryside in West Dorset. Bignor Park epitomizes rural elegance in the heart of West Sussex, featuring the Greek Loggia, part of eleven acres of beautiful grounds, formal gardens, sweeping lawns, a temple and zen pond. Cowdray House is a spectacular country house in West Sussex, surrounded by historic parkland, including Cowdray Ruins. Iscoyd Park, a newly restored award winning Georgian country house in Wales, is surrounded by 18th Century Parkland, stunning gardens and a beautiful church on the estate. Valentina’s Lost Orangery, an exclusive manor house in Wiltshire, harbours an inspired history and impressive fairytale-like grounds with gardens, a thatched boathouse, and orangery. This is without a doubt one of our favourite orangery wedding venues in the UK. Thyme, a beautifully restored Southrop Manor Estate on the Oxfordshire Border in the Cotswolds, is the perfect setting for your quintessential English country wedding with a beautiful village church, manor house, and Medieval Tithe barn. Gidleigh Park Hotel, an exclusive use country house hotel in Dartmoor, boasts fabulous views and a two Michelin Starred chef for a food and wine lovers dream wedding. Bridwell House & Deer Park is an elegant Georgian house set in 100 acres of breath-taking parkland, featuring the house, a chapel, parkland, old stables and magnificent views across the Culm Valley in Devon. Belmond Le Manoir Aux Quat’Saisons is situated in the picturesque Oxfordshire village of Great Milton. It is one of the country’s most cherished manor house hotels with stunning gardens and a two Michelin star rating. Hipping Hall, a boutique bolthouse, sits between the beautiful English Lake District and the rugged Yorkshire Dales, offering the perfect exclusive wedding venue for your intimate affair. The Crown Inn, a 16th century Inn steeped in history and recently renovated into a stylish pub with rooms, is located in the heart of enchanting Old Amersham in Buckinghamshire. 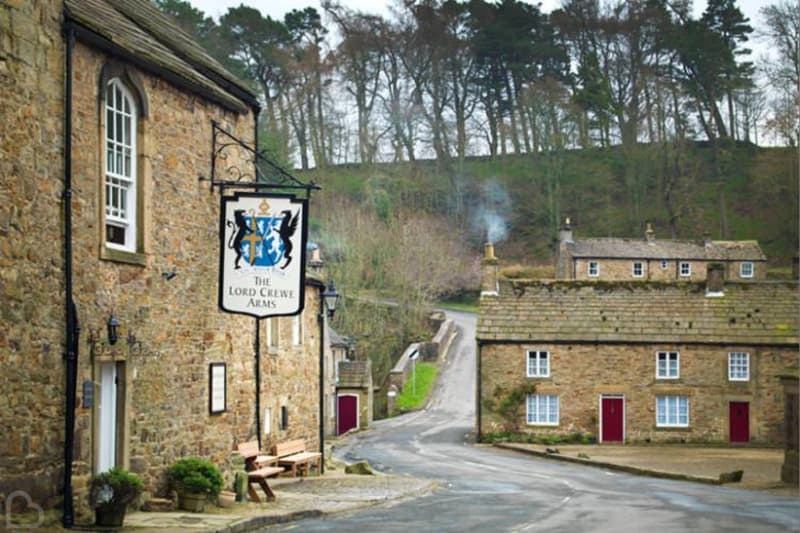 Lord Crewe Arms is an Eleventh-Century Abbot’s Guest House in County Durham with vaulted rooms, flagstone floors, summer gardens, and famous northern hospitality. The Sheene Mill is a magnificent 16th century Grade II listed water mill set on the River Mel in Cambridgeshire, with a view of the old mill pond and landscaped gardens. 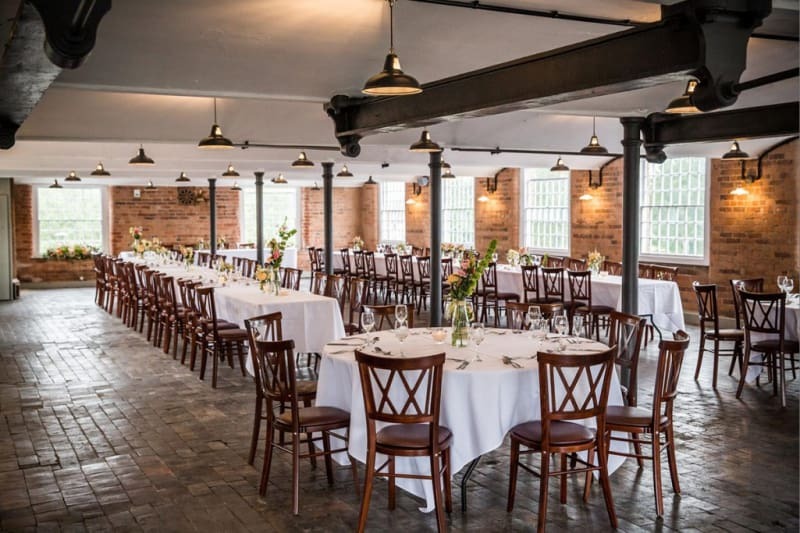 The West Mill is a Grade I listed former industrial mill in Derbyshire dating back to the early 1800’s, restored and converted into a beautiful wedding venue. Dreamland, located on the Kent seaside, is a completely unique wedding venue, unlike anywhere else in the UK, where an amusement park soaked in history can be the backdrop to your memorable day. 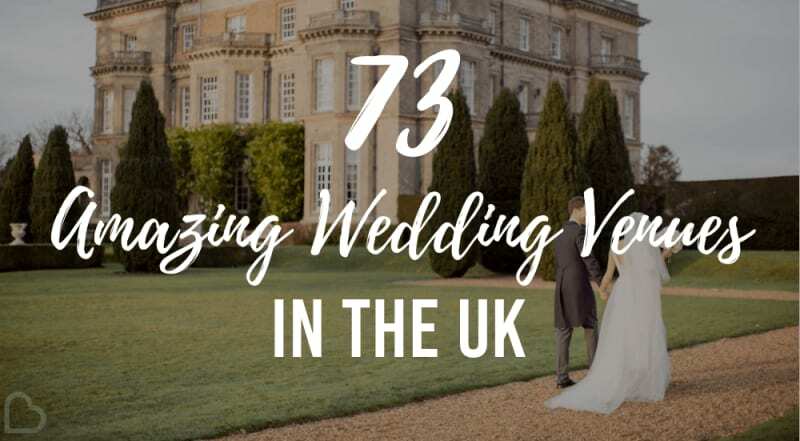 Discover more unique wedding venues in the UK! Combermere Abbey, a 900-year-old estate in Shropshire, offers exclusive use of the beautiful walled gardens where The Glasshouse, a truly unique fan-shaped building is surrounded by a fruit tree maze. There is also the impressive Walled Garden Pavilion with an impressive star-lit ceiling. Definetely one of the most beautiful glass house wedding venues in the UK. Nutbourne Vineyards, West Sussex, is one of the premier wine producers in the South East. 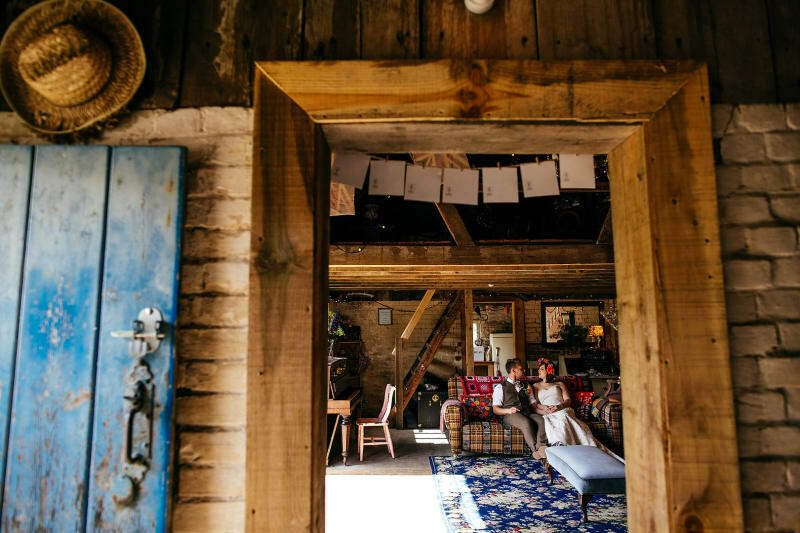 The grounds include a timber built wine lodge nestled within the vines, an old windmill, 360-degree balcony, outdoor fire-pit, and tractor-drawn carriage for guest arrivals or vineyard tours. In addition to these amazing venues, try entering your location and seeing which venues are nearest to you. Filter the results by what’s important to you and you’ll be sure to find gems of all sorts for your wedding! Beyond venues, the Bridebook.co.uk website and iOS app also have loads of other wedding suppliers including photographers, videographers, caterers, florists, and beauty, hair & make-up, music providers, and much more to help sort out your wedding. No idea where to start with your wedding? Bridebook.co.uk will kickstart your planning by creating a personalised wedding checklist and budget for you, that guides you all along the way. Keep track of all your guests, tasks, costs and suppliers in one place with Bridebook! Here are some more related venues for you!